Your martech stack is just one piece of the content marketing toolbox pie. You also need to look internally to leverage the real-life tools that are right in front of you and ripe with opportunity. Start by looking inside your organization to identify opportunities to collaborate and gain alignment with internal stakeholders and partners. In addition, commit to connecting with your captive audience on a regular basis to gain insight. And finally, add to your tool stack with external partners to fill gaps and add third-party insight and expertise. Oh. And fear not. 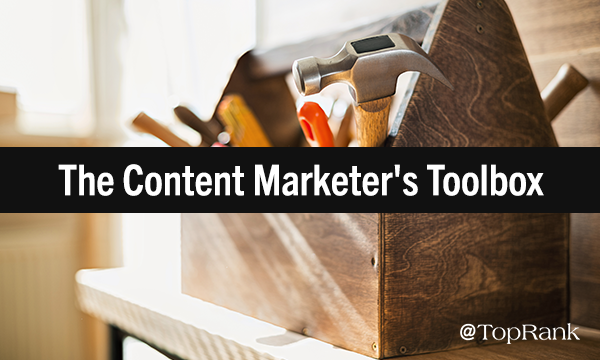 We’ll cover some martech tools you should consider for your content marketing toolbox next time. What does the future of content marketing look like? Get the scoop on the latest content marketing trends that you need to pay attention to in the new year.